As the United States ramps up for Hillary Clinton's second run for president, the accomplishments of Clinton's career are being once again thrust in the spotlight. Since Hillary first entered the political sphere as the First Lady of Arkansas in 1978, she has largely remained in the public eye and kept hacking away toward the impressive resume and set of accomplishments that she boasts today. I mean, from First Lady, to U.S. Senator, to Secretary of State, to presidential candidate, Hillary has accomplished a lot. On Sunday, Hillary announced that she is once again putting her accomplishments and her political savvy to the test. Hillary's announcement was hardly a surprise, and nor will it be a surprise if she clinches the Democratic party's nomination. Although many caution against using the word "inevitable," it's arguable that Hillary's nomination just may be that. While Clinton's campaign slogan is "Ready for Hillary," her accomplishments and preparedness suggest that Hillary is just as ready for America. So, as America once again turns its eye back to Clinton, it’s worth reassessing of just how much she’s accomplished and what exactly those numerous accomplishments are. Here’s a glimpse at some of her efforts, in three of the key areas in which Hillary is a leader. Clinton was one of 27 women who graduated from Yale Law School in 1973. Moreover, she’s the first first lady to hold a postgraduate degree. She was the only woman on the Nixon impeachment investigation team. When Hillary was elected to the Senate in 2000 — notably, she was the first woman to be elected statewide in New York — she became the first first lady to ever serve in public office. She created an Office on Violence Against Women at the Department of Justice. The 18 million votes that Hillary won in the 2008 presidential elections were the most votes ever won by a female candidate in the country’s history. 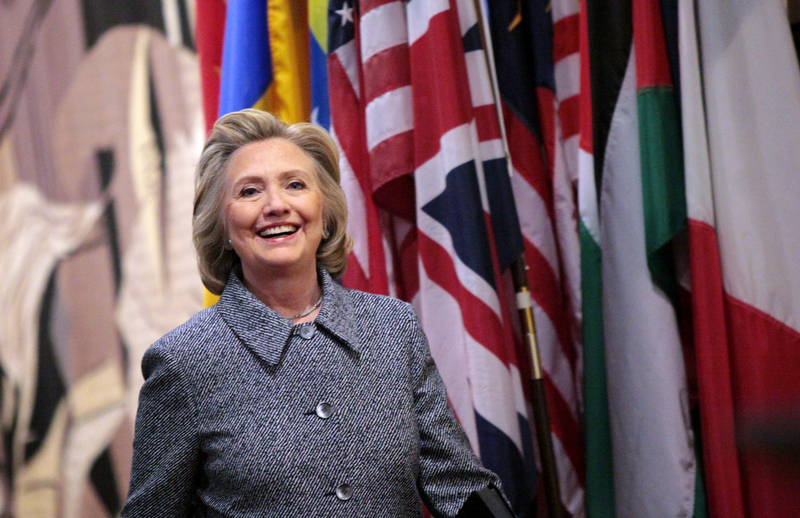 Hillary logged more travel than any other U.S. Secretary of State during her tenure. She visited 112 countries and traveled 956,733 miles — enough miles to circle the Earth 38 times. Clinton successfully reset relations with Russia three separate times, including an arms reduction treaty, the assistance of Russia to slow Iranian nuclear weapons progress, and the agreement to let American transport materials to troops in Afghanistan through Russia. However, when Putin reemerged, things fell apart. During her tenure as Secretary of State she pushed the U.S. to increase diplomatic presence in other countries, and largely worked to restore the U.S. as a leader. Clinton unveiled the Global Hunger and Food Security program. Although the Clinton healthcare plan ultimately failed to take root, the Clintons’ healthcare reform work set the stage for Obama’s Affordable Care Act. Since the installation of the Affordable Care Act in 2013, an estimated 4.6 million American adults have gained insurance coverage. Clinton played a key role in advocating for the creation of the State Children’s Health Insurance Program. The program offers state-funded insurance for children whose parents cannot afford to provide health coverage to their children. According to 2013 data, the program provides insurance for over 5.7 million children, and has cut the uninsured rate in half for America’s kids. Hillary played a big role in securing the $21 billion of funding for the redevelopment of the World Trade Center site after 9/11.